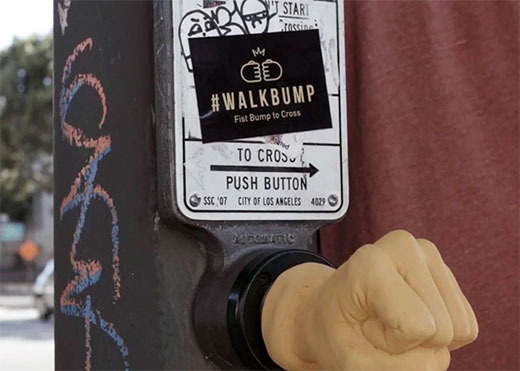 Walkbump: Fist bump to cross the street. I've always said that buttons should be enjoyable to press. Well, I bet you can't fist-bump this crosswalk button without cracking a smile and having a better day. Walkbump is exactly what it seems to be, and I'm a fan!